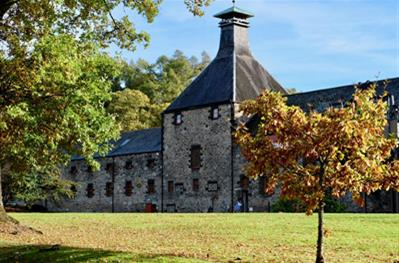 We especially recommend the route from Gilmerton via Amulree to Aberfeldy (A822 - A826). 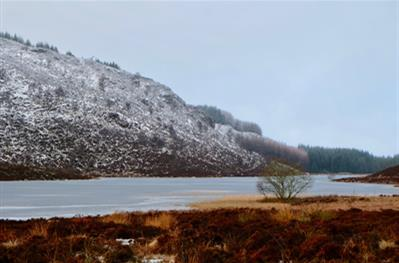 It goes through narrow mountain valleys, past rivers and lakes (lochs) offering many beautiful viewpoints. We can never manage to drive straight through, we have to stop at least twice to enjoy nature and take a few photos. 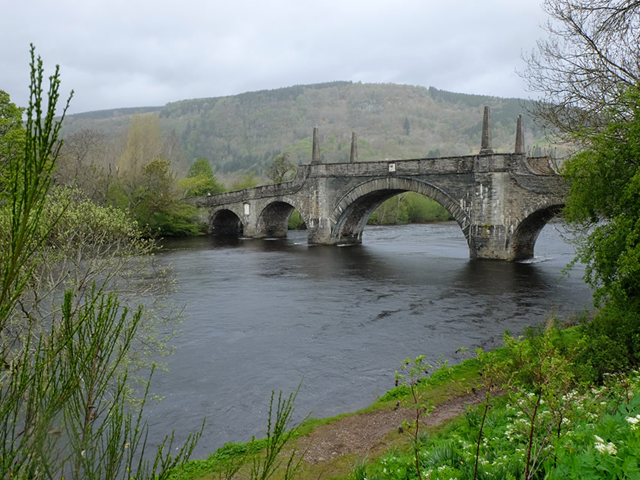 Just before reaching Aberfeldy, the view opens up over Strathtay and Aberfeldy. 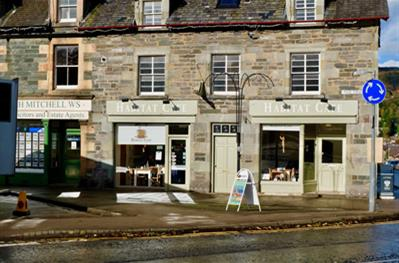 The light seems to always shine a little brighter on Aberfeldy and the colours appear more intense, even on rainy days. 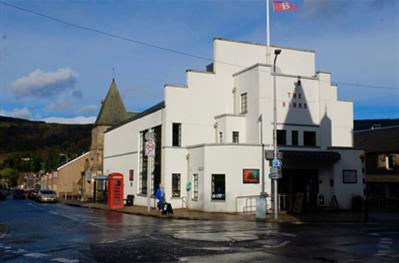 Aberfeldy is an active village with nice restaurants, interesting shops, the Birks Cinema and a Town Hall where concerts and events take place. 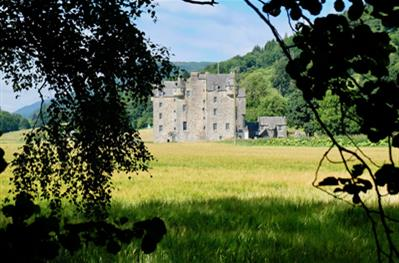 Our preferred trail begins after crossing Wade's Bridge and then walking west along the Tay to Castle Menzies. 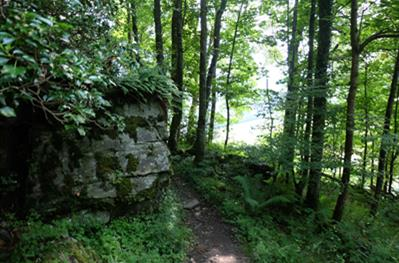 On the way back you can walk along the mountainside through Weem Wood towards Weem. More information can be found in the walking guide Experience Big Tree Country, Vol. 3, Walk 6. 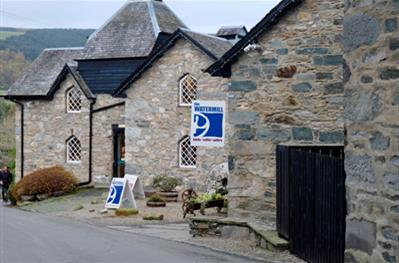 One of the highlights in Aberfeldy is the Water Mill - a bookshop of a special kind. In the old mill building you will find many books; illustrated books and guides on various topics, of course, many hiking guides and publications by local authors. We can spend hours here, not least because of the good café in the basement.